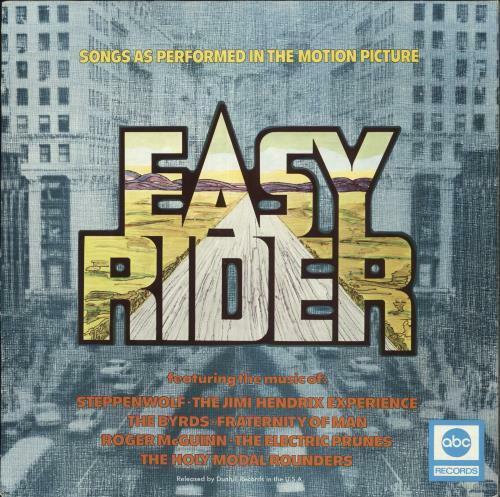 ORIGINAL SOUNDTRACK Easy Rider (80s UK light blue 'rainbow' label issue of the classic 1969 10-track stereo LP, featuring the music from the soundtrack to the movie. Includes songs by Steppenwolf, The Byrds, Jimi Hendrix Experience, Electric Prunes & Roger McGuinn. The picture sleeve shows light wear & the vinyl is Excellent with minimal play MCL1647).